Marianna Kheyfets will be putting her undefeated streak on the line at XFC 16: High Stakes against the extremely tough Heather Clarke. Heather will also be riding a 4 fight win streak into the February 10th bout live on HDNet. The fight will be on February 10th at the Knoxville Civic Coliseum. It will also be aired live on HDNet starting at 7:00 PM. "The Xtreme Fighting Championships has signed an explosive fight for XFC 16 : High Stakes, pitting undefeated women’s MMA prospect Marianna Kheyfets vs. Heather Clark. Kheyfets will put her perfect 4-0 record on the line, against her biggest test yet, on Feb. 10th at the Knoxville Civic Auditorium-Coliseum in the promotion’s return to Tennessee. Clark is also riding a four fight win streak and will look to derail Kheyfets’ momentum live on HDNet. The XFC has been known for featuring the best women fighters on their shows and ‘High Stakes’ is no different. Both women are considered to be two of the top Super Flyweights in the world. According to Fight Matrix.com Clark is #10 and Kheyfets is just behind her at #11. A win by either woman could vault them into the top 5. 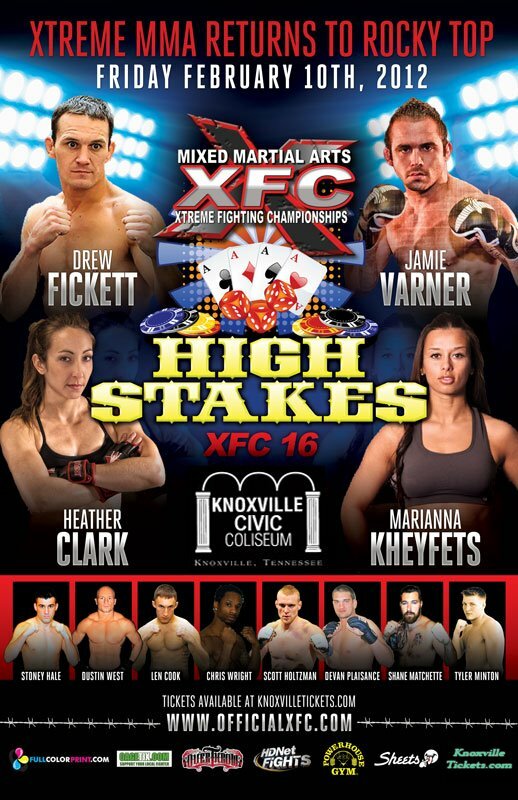 ‘High Stakes’ will be the fourth show that Kheyfets has competed on for the XFC. In her pro debut at XFC 11, “The Crushen Russian” dominated a much more experienced Kim Couture, eventually submitting her in the first round by triangle choke. Known primarily for her muay thai background, the American Top Team product is constantly evolving and displayed a much improved ground game in her last outing against Molly Helsel at XFC 14 : Resurrection. Standing in Kheyfets way of 5-0 is Heather Clark. Clark is a product of Jackson-Winkeljohn’s Martial Arts and has finished her last three opponents with a submission, tko, and a ko. In October “The Hurricane” actually ended another undefeated streak when she submitted Sarah Alpar at FCF 49. But the most impressive outing of her young career came in January when she knocked out April Coutino in ten seconds. You can guarantee that Clark will be looking for another finish when she steps into the XFC cage in February. XFC 16 : High Stakes is sponsored by Sheets Energy Strips and Overthrow Gear and will air live on HDnet from the Knoxville Civic Auditorium-Coliseum in Knoxville, TN February 10th, 2012.Tickets are on sale now through Ticketmaster. 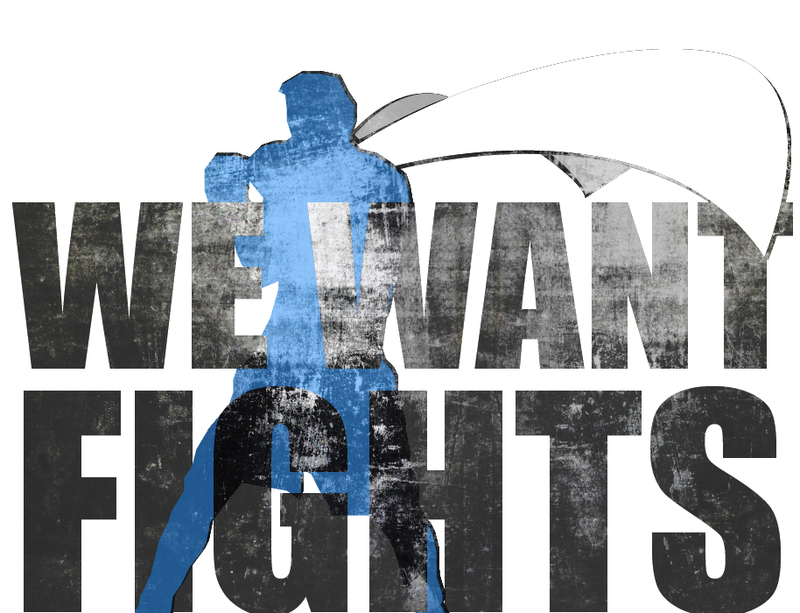 To learn more about the XFC, please visit www.officialxfc.com, “like” them on Facebook, and “follow” the promotion on Twitter (@officialxfc)."